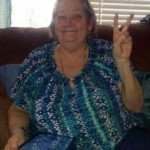 Elizabeth Ann (Shaw) Nettles, also known as George, Big Mama and Mama George, Nanny, Aunt Beth and Gigi, age 65, of Alachua, Florida passed away on February 5, 2019. Beth was born in Oxford, England on October 13, 1953. She was a military dependent, so she attended many different schools in the Continental United States as well as Panama in Central America. She attended Buchholz in Gainesville, Florida for her high school years. Beth was married to Freddie Browning. Beth worked as a manager at Skeeter’s and a server at Sonny’s Real Pit BBQ. She also worked 18 years for Food Lion as their Customer Service Manager. In her younger years she enjoyed playing softball, bowling, swimming and shelling (thanks to Helen Bielak). She inherited her paternal grandmother Lois’ artistic ability and would often draw and paint, usually ocean/beach scenes. She loved the ocean and shells. She was an avid reader and wouldn’t leave home without her tablet. She liked her scratch offs and playing “Big Ball”. She was bossy, funny and generous. To sum up Beth’s Life: She lived it her way! Beth is survived by her children Timothy Nettles (Spring), Amber Browning (Tara) and Jason Nettles, siblings Evelyn Jackson (Dennis), Debbie Shaw, Buddy Shaw, Janice Baisden (Joe), Jerry Weeks, Char Faircloth (Jim), grandchildren Tyler Williams, Ciera Williams, Taylor Nettles and Lanae Rowell, a great grandchild Aubree Williams, a niece Chelcie Peterson (Matt) and a great niece Marlie Peterson, nephews David Desilets and Craig Nolan and other family and friends. Beth is preceded in death by her parents Bill and Elouise Shaw and a brother Ed Nolan. Visitation will be held at 10:00 am on Monday, February 11th at Evans Carter, High Springs, Florida. The funeral service will be held at 11:00 am on the same day. Burial will follow the funeral service at Laurel Hill Cemetery in Archer, Florida. 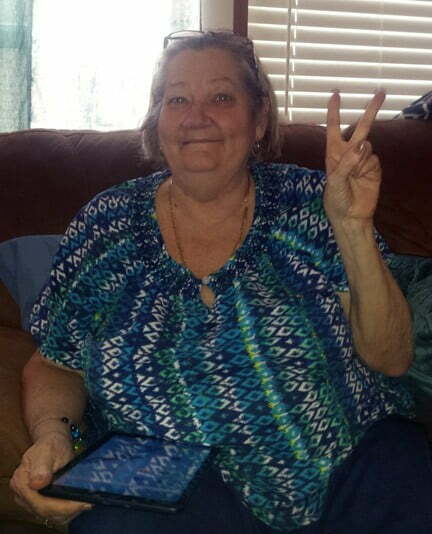 A celebration of her life will be held immediately following the burial at The Beeman Building, Archer Church of the Nazarene, 13327 SW State Road 45, Archer, FL 32618. Those who wish to attend, please bring a covered dish to share. I’ve been through ALOT with this woman and her family. I grew up with the kids as well as my brother Robert Barton, who was her son’s best friends growing up .She was always a good woman and didn’t put up with any crap. I’m so sad to hear about this and I will be there for this because I know my brother would want this. I love you Timmy and Amber and I’m so sorry. I am so sorry for your loss. I liked her very much. Only thing she was scared of was lightening. Now she gets to ride it instead of be scared of it. Sending my love. Sincere prayers for comfort and strength for the family.